Palm Beach, New South Wales is one of the northernmost beaches of Sydney. Situated at the end of a long peninsula, Palm Beach is surrounded by tranquil Pittwater on one side and is fringed by the surf on the other. It is a fantastic (and very popular) holiday destination. And, if the iconic Palm Beach looks familiar to you, it’s because everyone’s favourite TV soap, Home and Away, is filmed there. As the owner of Beach Stays, a company that specialises in offering high-quality holiday accommodation in Palm Beach, today I will outline some reasons why you should choose Palm Beach as your holiday destination. Hopefully, this article will convince you to plan an upcoming Palm Beach holiday. Palm Beach presents plenty of things to see and do. While you can obviously laze on the beach or indulge in the surf, there’s also a 50m rock pool for those who just want to swim laps or escape the waves. You can also take a ferry ride west of Palm Beach to the Basin – a popular spot for day-trippers and campers. Other attractions in the region include the Barrenjoey Lighthouse and Pittwater Foreshore Walks, which you can explore for hours. There is no dearth of great cafes and restaurants in Palm Beach. You can expect to find all types of cuisine, thanks to the numerous restaurants and cafes that range from casual to fine dining. Some of my recommended Palm Beach restaurants and cafes include The Greedy Goat, Palm Beach Road Dining, The Boathouse and Pronto Creative Food. Do check them out on your Palm Beach holiday. For more information on Palm Beach’s dining and café scene, view our Activities directory. If you are a golf enthusiast, then there’s simply no better holiday destination in northern Sydney than Palm Beach. A golfer’s heaven, Palm Beach boasts an exquisite 9-hole golf course with a sprawling clubhouse. Golf enthusiasts flock to Palm Beach for their golfing holidays. Another big reason behind the massive popularity of Palm Beach as a holiday destination is its proximity to Sydney CBD, which is just an hour’s drive away. While this makes Palm Beach perfect for Sydney day trippers, it is also an excellent destination for outstation tourists. There are also plenty of sights and spots to stop and enjoy along the drive from Palm Beach to Sydney. Due to Palm Beach’s popularity, you can find amazing holiday accommodation options in the area. Here, at Beach Stays, we offer a range of luxury holiday accommodation in Palm Beach for you to choose from. While our holiday homes and apartments present upscale living with the best in amenities, they are also located in tranquil surroundings. Staying in one of our properties will certainly make your Palm Beach holiday much more memorable. Palm Beach, New South Wales is one of the most popular holiday destinations in northern Sydney. This is because Palm Beach offers plenty of sights and activities to enjoy, it has a great café and dining scene, it is a golfer’s heaven, it is just an hour’s drive away from Sydney CBD, and there are plenty of luxury accommodation options available in the region. 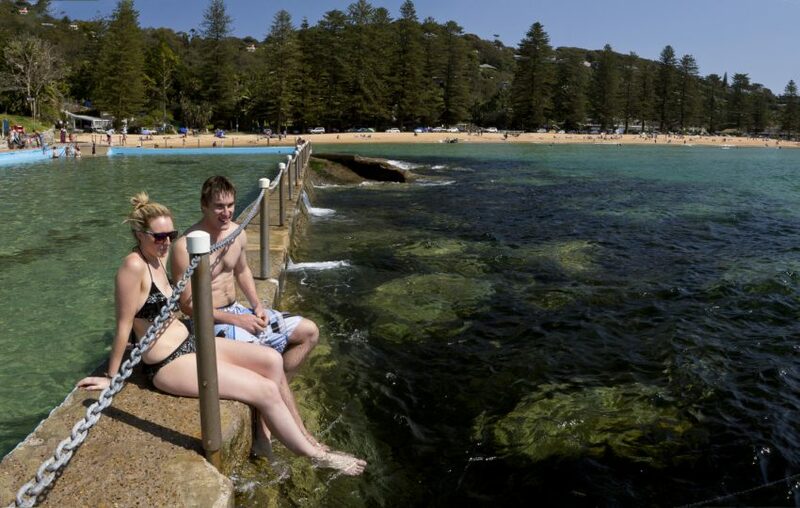 If you’re planning an upcoming holiday in northern Sydney, Palm Beach is a fantastic choice. And, if you’re looking to book holiday accommodation in Palm Beach, you can do it right here at Beach Stays. Book your holiday accommodation in Palm Beach online or call +61 2 9974 2108.